Kenya Post: How Does Kenya's Postal Service Work? Kenya Post - How Does Kenya's Postal Service Work? 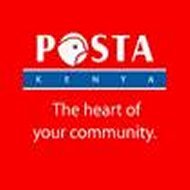 The Postal Corporation of Kenya was formed in 1999, when the Kenya Posts and Telecommunications Corporation was dissolved in order to separate telecommunications from postal service. At that time, Telkom Kenya and the Communications Commission of Kenya were also created. The company is wholly government owned, and a member of the Universal Postal Union. 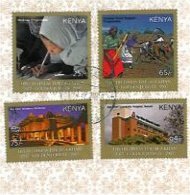 The Postal Corporation of Kenya (also known as Kenya Post) operates in three distinct areas: mail services, courier services and financial services. First and foremost, the Postal Corporation operates the country's postal mail service. Within the same city, mail will be delivered within 24 hours. Service to anywhere in Kenya will be within 2 days. There are more than 900 post office locations in Kenya, and most people have their mail delivered to a box rather than directly to their home. Aside from regular post, other mail services offered include direct marketing, sale of International Reply Coupons (IRCs), international airmail service, business reply services, pre-paid postal products, leasing of postage meter machines and mail registration and insurance. Though the Postal Corporation does have a good turn-around time, they do offer faster courier services as well. In urban centers, packages can be delivered within 3 hours, or anywhere in Kenya or to other East African capital cities overnight. The courier service operates world-wide, not just in Kenya. The financial services offered by the Postal Corporation are limited to transferring of funds. There are Electronic Funds Transfers (EFTs), and also the more traditional money orders. About half of all post office location also serve as outlets for the government-owned Post Office Savings Bank. Aside from these fundamental services, you can also purchase Safaricom phone cards at most postal outlets.